Leaving Florida at the end of July, we realized we still had way too much stuff! And I decided a 24 inch suitcase was too heavy for me to lug…especially on trains and buses and up stairways. So we trimmed our belongings once again. Our total belongings at this point include Bob’s 24 inch suitcase, my 21 inch REI lightweight bag, Bob’s carry-on Rick Steve’s bag and a tote for all our electronics (computer, reader, tablet, electronic cords and adapters). I have opted for a day pack instead of purse. On Tuesday, April 4 we boarded Icelandair for Paris. As we were finding our seats, the third person in our row, asked Bob if we were from Michigan after noticing his Ferris State hockey sweatshirt. Turns out he was originally from Michigan and also a Michigan State grad though several years ahead of our daughter. We had a pleasant visit on the flight talking about Michigan and travels. After a short layover in Iceland, we boarded the second leg of our journey landing in Paris three and a half hours later. It was very odd that we never went through customs. While they checked our passports as we changed flights in Iceland and because both Keflavik and Paris are part of the Schengen agreement, that was the extent of our customs check. We gathered our baggage at Charles De Gaulle airport and were thrilled when our daughter, Cary, appeared as we walked through the outside door. Bob had found a small hole in the wall hotel not far from Notre Dame and we were amazed when we arrived at 7:30 in the morning and were told we could check in. We immediately went to breakfast at a sidewalk cafe and then headed back to our room for a two hour nap. 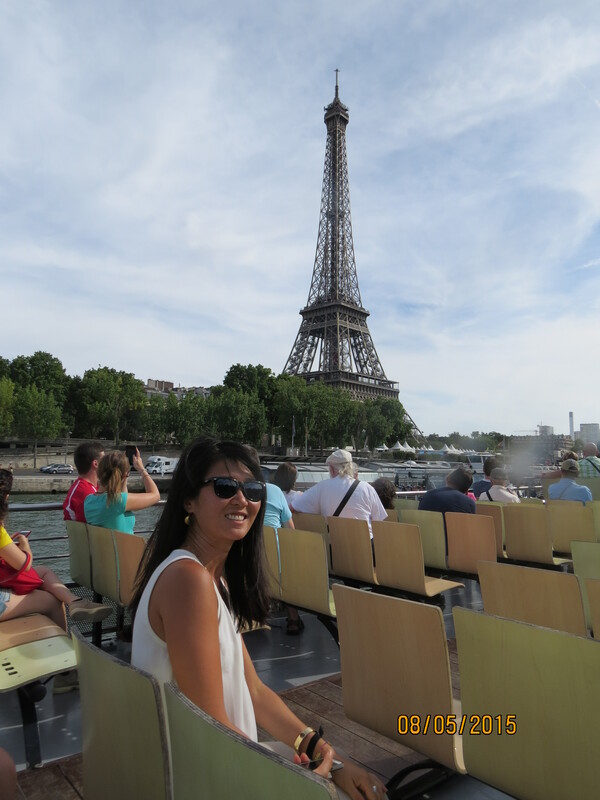 It was just enough to give us our second wind and by evening we were able to fall asleep on Paris time. While we only had a day in Paris (we’ll return in October) it is everything I imagined it would be and more. The food was amazing. 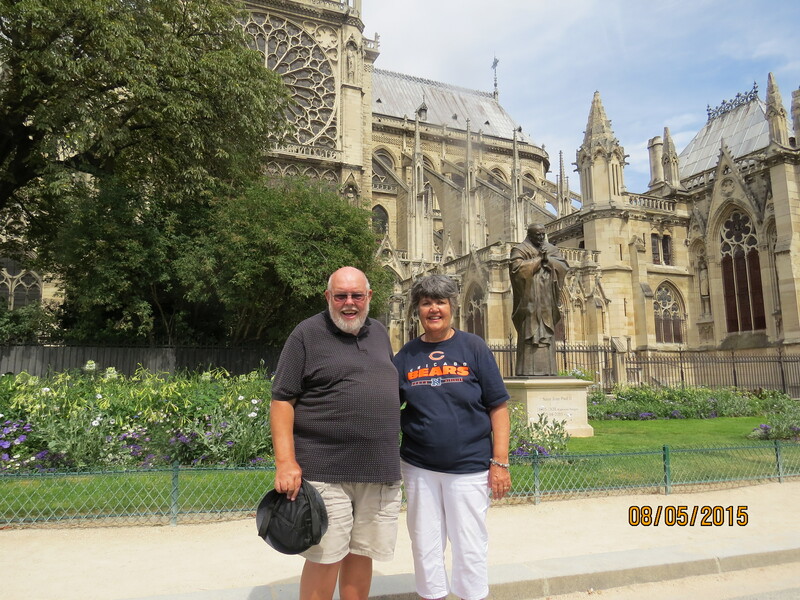 We walked to Notre Dame, thinking we wanted to sightsee but didn’t want anything that would take much concentration. We did a Seine boat tour and then found a sidewalk cafe for dinner. What an amazing few short hours! From the open windows of the hotel room we could hear people laughing and singing on the street below as we went to sleep. What an introduction to the City of Lights! The next morning I awoke to the sound of crashing garbage cans. I laughed thinking that if I were back in Michigan I’d be muttering and ang ry about the sound waking me up. Now this morning I was smiling thinking, “Oh, that must be the garbage pick up in Paris!” Amazing how perspective changes! On Thursday we picked up our rental car. Because it was a lease not a rental, we picked it up in a different location and although our driver (who spoke only French) chatted with the woman at Peugeot, finding the car agency was like something out of a Chevy Chase movie. After numerous unsuccessful tries, he pulled up to a gate that clearly marked a closed road, got out and pointed to the agency. We unloaded our stuff and walked the rest of the way. Thankfully, it wasn’t far! Bike lanes, car lanes, bus lanes, more bus lanes, car lanes and bike lanes! Whew! 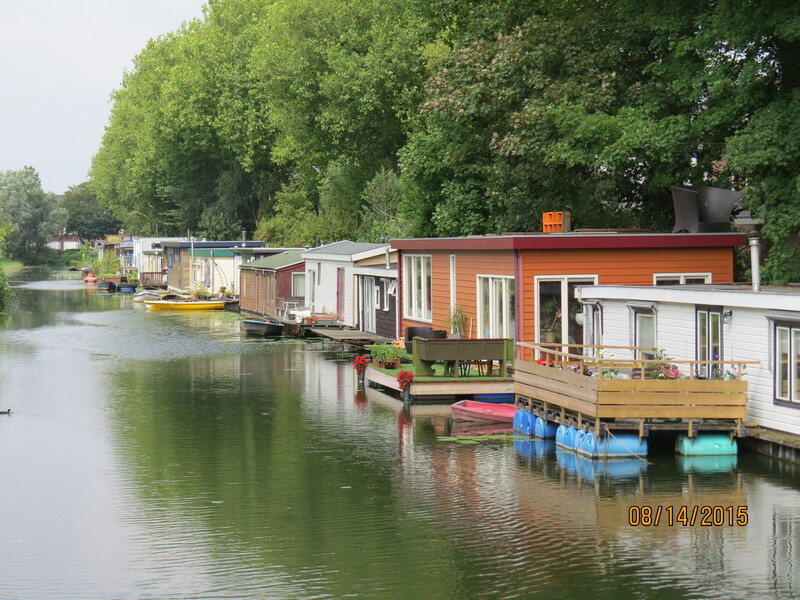 After leaving Paris we arrived about five hours later at our new home for the next two weeks in Utrecht Netherlands. It’s just as it appeared on Airbnb. The owner is in the US for a few weeks so a friend led us through the place. I particularly love the French doors leading from the dining room to an enclosed garden with flowers, berries, and fig tree. (Who knew figs grew this far north.) It takes some time to get used to the roads here. There are as many, or perhaps more bikes here than cars. So when you go to cross the street, you first have to carefully cross the bike (and scooter) lanes, then you cross the road with traffic coming from the left, then you cross the bus lane. Then another bus lane, another traffic lane and another bike lane. It’s a lot to remember! As Bob said, thank heavens the use of red, yellow and green traffic lights are internationally consistent! We haven’t seen much of Amsterdam yet, but loved The Hague. 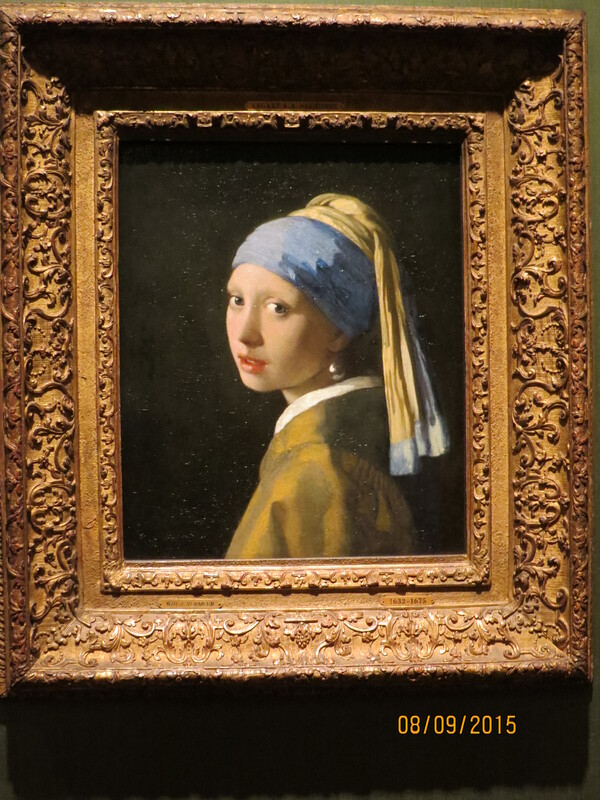 We found a small art museum, Mauritshuis. The collection which includes paintings of Peter Paul Rubens Johannes Vanmeer, and Rembrandt Van Rijn, belonged to William V of the House of Orange. And the building dates back to the seventeenth century. There are only sixteen rooms which makes it very “doable” in an afternoon. It is truly a gem. 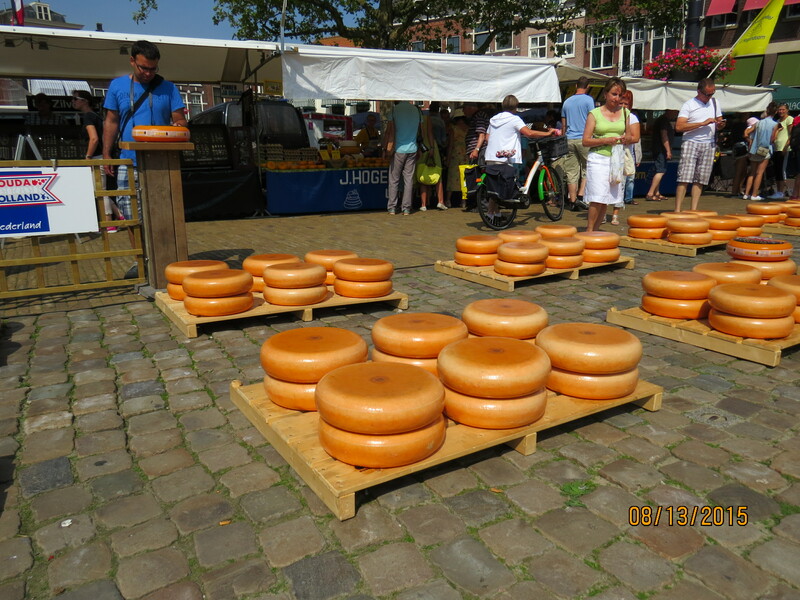 Another really pleasant excursion was to Gouda (about 18 miles from Utrecht). On Thursdays the cheese market is open. It’s a festive air complete with music, young girls in their Dutch costumes offering cheese to folks and also stands of fruits and vegetables and fresh baked goods. And of course, we had to buy a round of the cheese! Gouda also has an interesting Resistance Museum. The admission fee is 8 euros but because there was no audio available in English, the woman at the entrance didn’t charge us. Shortly after entering, a second woman came up to us and asked if we’d like her to take us on a tour and she proceeded to explain, in English, all that we were looking at. Very interesting and far superior to a recorded audio tour. She explained that at the beginning of the occupation, Hitler had thought the Dutch were a lot like the Germans and so provided food and other supplies for them. “Of course,” she said, “We are not like the Germans.” And then it all changed. What a horrifying time it must have been for the Dutch. St Bavo Church in Haarlem dates to the fourteenth century. 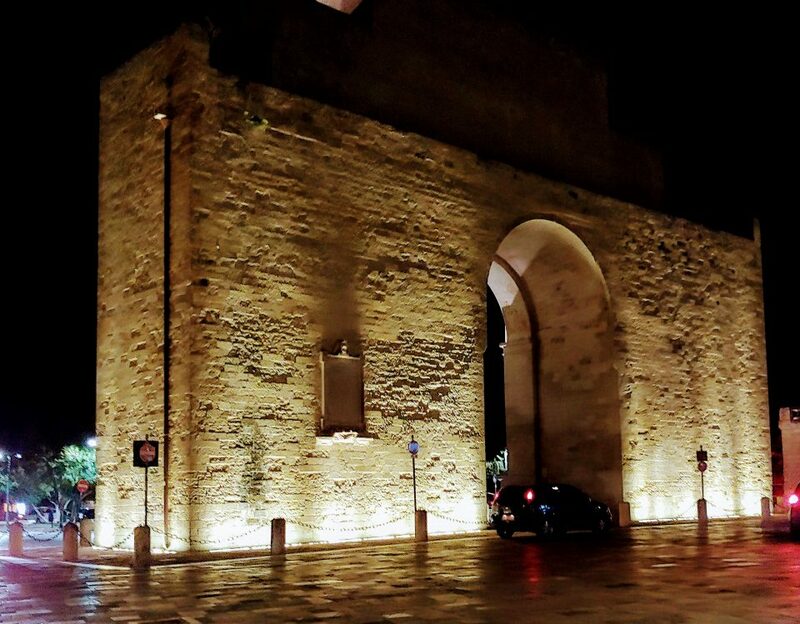 It was originally a Catholic Church and became a protestant church after the Reformation. Cary thought it was the most beautiful church she had ever seen. That’s pretty high praise coming from someone who lives in Rome! The most impressive part for me was the ornate organ that both Handel and Mozart played! 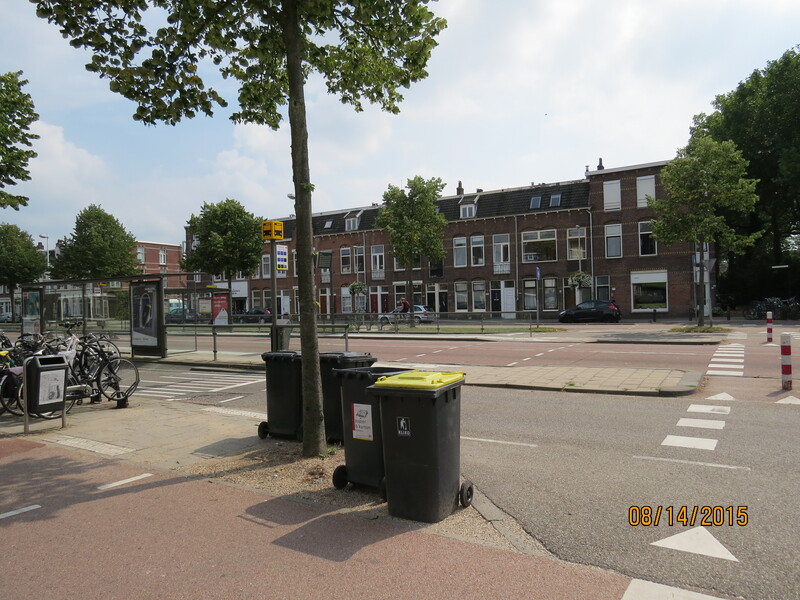 We drove to some towns like the Hague and Gouda but relied on trains to take us into the larger cities. We found the cheapest way use public transportation is to buy a chipkaart which can be used for trains and buses throughout the Netherlands and add money to it as needed. We also enjoy learning the neighborhood in which we live. Most people speak some English; many are fluent. Most people have been very helpful. The Netherlands is a very pretty country. Before coming here I thought the canals were primarily in Amsterdam but we find them everywhere! 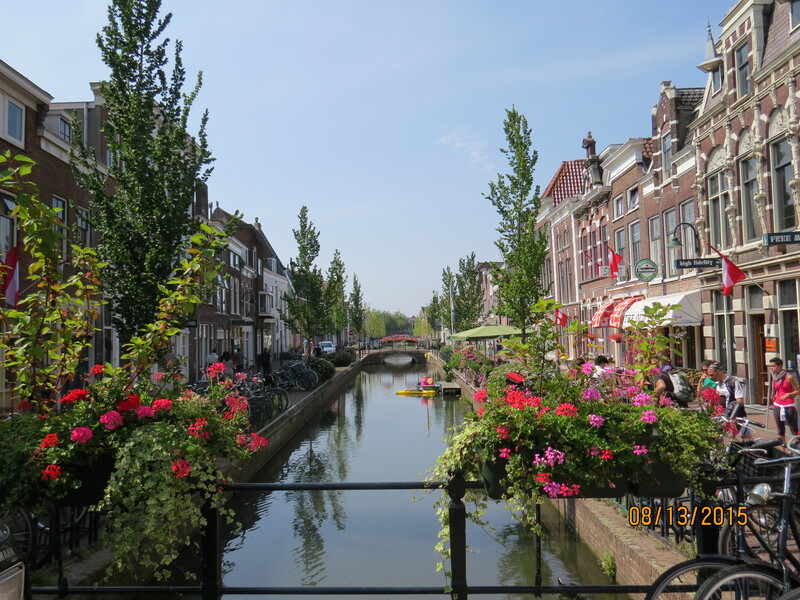 And the canals combined with the Dutch love of flowers makes this a very pretty country. We pinch ourselves often, not quite believing that we are indeed here! Missing you, but so glad you are having fun. Thanks, Rob. We really are! It’s nice to see the sites and yet have time to get to know the area around where we’re living. Every time I look at your blog or Facebook post I wish I was there in Europe too. What beautiful pictures. You have to be so happy there. Enjoy!! !